The envelope contains the Instructions-For-Use and a foil pouch. The SurgiWrap® Bioresorbable Sheet is clear and can easily be misplaced. SurgiWrap® Bioresorbable Sheet’s polymer material is fabricated from the same lactic acid molecular building blocks that occur naturally in the human body. The polymers, which result from lactic acid derivatives, are generally referred to as PLA or polylactide. The SurgiWrap® Bioresorbable Sheet is made from an amorphous bioresorbable copolymer of 70:30 Poly(L-lactide-co-D,L-lactide). The 0.02mm and 0.05mm sheet retain significant tensile strength (greater than 80% and 100%, respectively) for the initial 8 weeks, and decreases in a controlled fashion through 24 weeks of aging (see Figure 1). Independent laboratory testing determined that the SurgiWrap® Bioresorbable Sheet was capable of maintaining an impermeable sheet throughout the critical healing period, which has been described as several hours for soft tissue attachments and up to 8 weeks for reinforcing weak tissues. Review the packaging warning symbols prior to use. expose above 120°F (49°C). Do not re-use. For single use only. Before fascial closure begins, sterile scissors can be used to customize the sheet to any desired shape or configuration as needed. 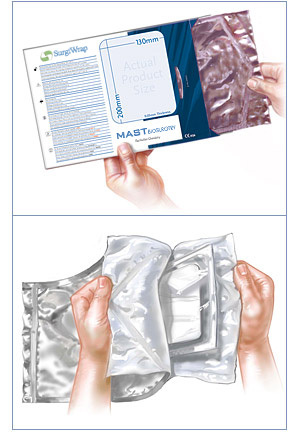 The SurgiWrap® Bioresorbable Sheet is placed on the weakened tissue or fascial defect. The edges of the SurgiWrap® sheet should extend beyond both ends of the wound. The SurgiWrap® sheet can be easily repositioned intraoperatively. 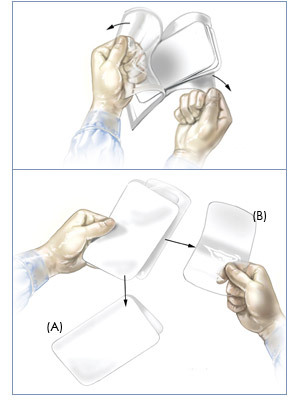 To prevent postoperative migration of the sheet, it is recommended that the sheet be held in place. During the facial closure, loop one of the first and one of the last sutures of either an interrupted or continuous series through the sheet. 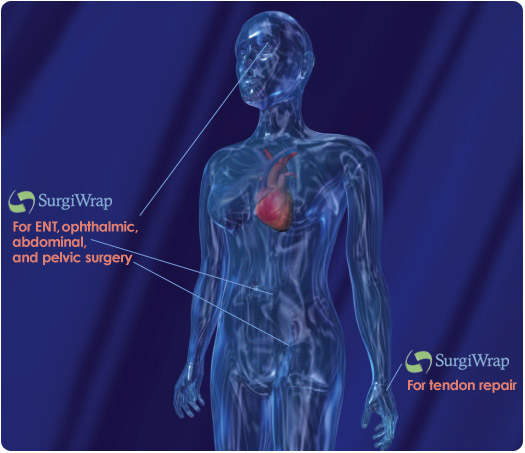 The SurgiWrap® Bioresorbable Sheet is transparent, and allows direct surgical visualization of underlying abdominal contents for simplified suture placement. 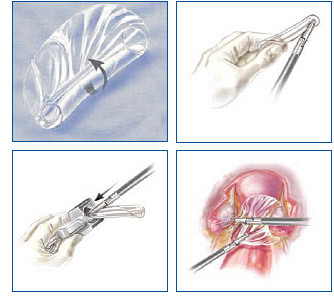 Sterile scissors may be used to customize the sheet to any desired shape or configuration. The SurgiWrap® Bioresorbable Sheet is loosely rolled lengthwise and held, at a slight angle at one end, by the laparoscopic graspers. The SurgiWrap® sheet is then easily delivered through a trocar 10mm or larger and released into the operative site. Once released into the operative site, the sheet will unroll to the extent allowed by the surrounding soft tissue. 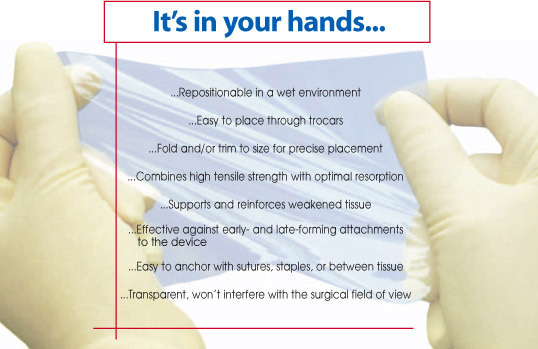 The SurgiWrap® Bioresorbable Sheet can be anchored in place with one or two fine sutures or clips. The SurgiWrap® sheet can be repositioned intraoperatively with graspers while its transparent nature allows for direct surgical visualization of underlying anatomy to facilitate placement.